I'm a senior driver for Kidz Kartz Southland so I get to race at race meetings, which is very awesome! 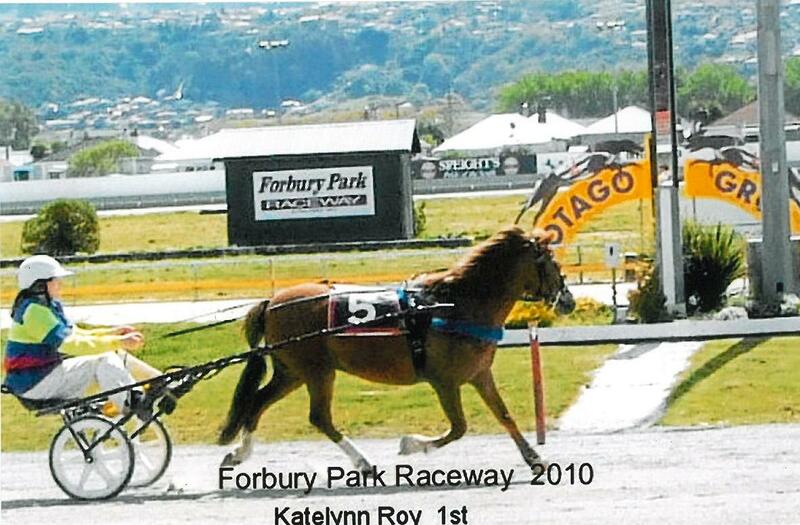 Our second race meeting this season was at Forbury Park in Dunedin to show people in Otago what Kidz Kartz is all about as there is a club starting up there. We were trying to qualify our two biggest ponies Rocky (Rocky Balboa) and Mackey (Tara's wizz bang ) to go to the New Zealand Kidz Kartz trotters cup, but we only qualified one of our ponies. We were disappointed that only one senior driver could go up. I found out on Wednesday what pony qualified and who was the driver. Mackey (Tara's wizz bang) was the pony that qualified. Me and Mackey will be going up against ponies that are faster and bigger than him. It is a bit scary but it will be a great experience for both me and Mackey and I am hoping that we won't come last in some of the races.